In this section you will learn how to place components by the fitting-to-fitting method. Place Component manually places components (such as valves or fittings), piping, instruments, or assemblies. Select Placement from the Piping pull-down menu. Connect to Design connects to either a component, nozzle, or piping segment for placing components in the active model. Select the Place Component option from the Placement palette activated by the Piping pull-down menu. Point in Space places the orientation tee at a point in space for placement of components. Select the Place Component option from the Placement palette activated by the Piping pull-down menu. Place Pipe places pipe from one component to another or places pipe at a fixed length. Select the Place Component option from the Placement palette activated by the Piping pull-down menu. Active Options changes the active options for placement of components and pipe. Select the File pull-down menu. See Place Component for reference information. 1. Select Place Component from the Placement palette activated from the Piping pull-down menu. 2. Select Connect to Design. 5. Change the attributes that you want. 6. Toggle the Active Flow Direction to Active Point is Upstream. 7. Accept with Confirm to confirm the new parameters. 8. Select DEFAULT flange, then Confirm. 9. Select First Size and key in 4 (100). 10. Select Concentric reducer, then Confirm. 11. Select DEFAULT flange, then Confirm. 12. Select Check valve, then Confirm. 13. Select DEFAULT flange, then Confirm. 14. Select Place Pipe and key in 2' (610mm). System automatically places pipe, without an accept from you. 15. Select DEFAULT flange, then Confirm. 16. Change secondary axis direction, select West from the compass. 17. Select Gate valve, then Confirm. 18. Select DEFAULT flange, then Confirm. 19. Change secondary axis direction, select East from the compass. 20. Select 90° elbow, then Confirm. 21. Select Active Options from on screen menu. 22. Toggle Model Symbology Default to Model Symbology Detailed. 23. Toggle Material Description Display Off to Material Description Display On, then Confirm. 24. Select Connect to Design. 25. Identify nozzle B by keying in equipment/nozzle number. 26. Select the active segment data area. 27. Change the parameters that you want. 28. Toggle the Active Flow Direction to Active Point is Upstream. 29. Confirm to accept the new parameters. 30. Select DEFAULT flange, then Confirm. 31. Select First Size and key in 4 (100). 32. Select Concentric reducer, then Confirm. 33. Select DEFAULT flange, then Confirm. 34. Select Check valve, then Confirm. 35. Select DEFAULT flange, then Confirm. 36. Select Place Pipe and key in 6" (152 mm). 37. Change secondary axis direction, select East from the compass. 38. Select DEFAULT flange, then Confirm. 39. Select Gate valve, then Confirm. 40. Select DEFAULT flange, then Confirm. 41. Select Point in Space. 43. Select Move to Point. 44. Toggle off Easting and Northing. 45. Identify the correct elevation. The system coordinate indicator moves to the elevation identified. 48. Change primary axis direction, select either East or West from the compass. 50. Change secondary axis direction, select Down from compass. 52. Select Tee branch, then ConfirmÖ. 54. Identify the free CP on the 90° elbow. 55. Select Connect to Design. 56. Identify the CP 2 on the tee. 57. Change secondary axis direction, select Up from the compass. 58. Select 45° elbow, then Confirm. 59. Select Place Pipe and key in 1'6" (457 mm). 60. Select Connect to Design. 61. Identify the free CP on the tee. 63. Identify the mating CP on the flange. Complete the following nine exercises using the Connect to Design option. Each exercise demonstrates different methods of using the Connect to Design option. See Connect to Design for reference information. The system places the orientation tee at the nozzle and updates the active segment data, size, and spec. only. 3. You are now ready to start placing components. 2. Identify the segment end point. 3. Accept with <D> if the orientation tee is correct, Reject if not. The system places the orientation tee at the segment end point and updates the active segment data. 4. You are now ready to start placing components. The system places the orientation tee at the component connect point and updates the active segment data. 4. Accept with <D> or key in the distance. The system places the orientation tee at the specified location and updates the active segment data. 5. You are now ready to start placing components. 2. Select Point on Pipe option. 3. Identify the end point of the pipe to measure from. 4. Key in the distance. 2. Select the Move from Active Point option. 2. Select the Move from Reference Point option. 3. Identify a reference point to move from. 4. Identify a destination point to move to. 5. Key in the distance along the from-to direction. 6. You are now ready to start placing components. 2. Select the Move to Coordinate Axis option. 3. Identify a segment pipe run. 4. Select the correct coordinate axis. 5. Key in the coordinate value or identify an item at the coordinate location. 2. Select the Bend to Tee-Type Branch option. 3. Identify the embedded vertex. The system automatically finds the correct tee to be placed. Complete the following three exercises using the Point in Space option. See Point in Space for reference information. 1. Select the Point in Space option. 2. Select the Start with Piping option. 3. 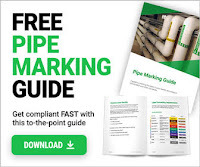 Identify a piping start point. 4. Select Move South and key in 5' (1524 mm). The system places the orientation tee at the specified location. The active segment data is not updated, but remains the same as the last component placed. 2. Select the Midpoint option. 3. Identify the first point. 4. Identify the second point. 5. Accept the mid point. 6. Accept with Confirm the active placement point. 7. You are now ready to start placing components. 2. Select the Move Along Flow Centerline. 3. Key in the distance you want to move along the primary axis. See Place Pipe for reference information. 2. Identify the correct connect point on the elbow. 3. Select the Place Pipe option. 4. Toggle Variable Length to Fixed Length. 5. Key in 10'0" (3048 mm). The system places the pipe as a fixed length pipe. 4. Identify the correct connect point on the other elbow. The system places the pipe as a variable length between the two elbows. Work the following two exercises using the commands you've learned in this section. Place two flanges and two blind flanges on existing pipeline DOW0103-4IN-2C0032-N. Refer to the figure below. Place pipeline MMA0104-XIN-1C0031-P & MMA0104-XIN-2C0032-P from equipment/nozzles 38P-101A/N1 & 38P-101B/N1 to equipment/nozzle 38V-101/N3. This pipeline has 1 1/2" of insulation. Refer to the figure below.